Another month is over and online business bloggers as always impress the audience with the fresh pack of summer articles. 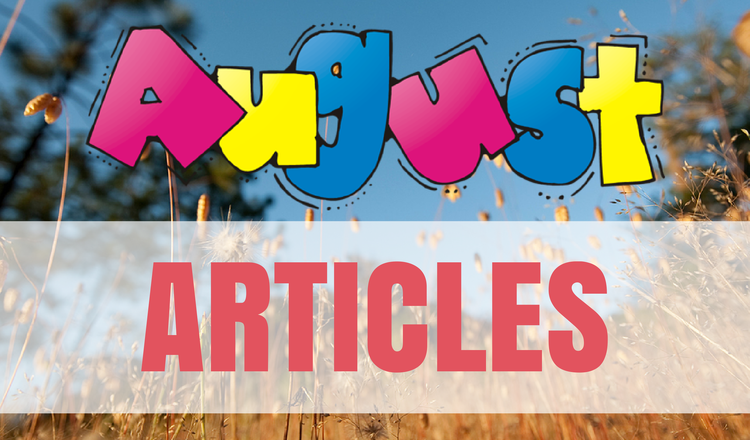 August is not an exception and was full of posts that describes the latest e-Commerce trends. So now, lets take a look at the most valuable content from popular blogs that businessmen trust. Nowadays, there are thousands of online retailers that make customers face difficult choice of the most reliable shop. There are a lot of factors that affect purchase decision and store owners must now the most effective way to use them. A lot of keys to sales growing can be hidden on your site pages and every customer perceive this messages in a different way. So, take a look at the article that shows the way to Apply Psychological Principles in Order to Boost Conversion Rate. Moreover, those principles will help you while setting up your cross-selling campaign. That is why you should try not to overload product pages with too much information that can distract your customers. Make sure to recommend products in the right way and learn How Cross-Sells can Kill Conversion in the article, provided from GetElastic. If you’ve already done with your product pages, it is a high time to learn some Truth About Cart Abandonment. It can be quite useful if your online store attracts thousands of window shoppers that like to search the web more than others. The article describes 10 tips to create an effective cart recovery program that every e-merchant should know about. Are you sure that your customers spend time properly, while browsing your shop? Are they choosing products or waiting while pages will appear? In fact, 1 second delay in page load time can affect notable sales decrease. So, look What the 10 Fastest e-Commerce Sites Can Teach You About Web Performance and make sure your online retailer works fine. Mobile Commerce has become mainstream very fast. So, if you are looking forward to grow sales, this tendency is worth considering. But how customers that shop from smartphones differ from desktop shoppers? There are several ways to answer this question. At first, you can check the Portrait of a Mobile Consumer in an infographic and then make your own conclusion. Once you know who are your customers, it is a time to create the most convenient and responsive design of your store to meet their needs. The most common mistakes are “heavy” stores that increase mobile-page load time. Furthermore, there are a lot of usability issues on the small screens of mobile devices that can be missed. So, take a look at The Most Common Mobile Mistakes and make sure that your store excludes them. Pictures are the most effective tool to describe your products. That is why customers are more likely to buy items with high quality images. Due to this fact, the most informative product photos will help you to sell more. Luckily, you don’t need to cope with a professional camera to make a nice shot. Learn How to Capture High Quality Product Photos With Your SmartPhone from Shopify and enjoy the results. 2014 holidays are coming, and it is the time to think about your marketing campaigns for this period. How to encourage customers to buy more? Here are 4 Predictions for the 2014 Holiday Shopping Season that will help you to cope with this task. Check how free shipping options, store pick-up and product videos can grow your sales at the end of the year. The latest news from Google - secure connection will move your site higher in search results. Are you surprised? So, you will probably need to learn more about that and move your site to the new protocol. Find out the Implications in an article from Econsultancy. Luckily, online business experts also know what humor means. To confirm this fact, you can check 13 xkcd Comics for e-Commerce Professionals and relax after a hard day. Hope, you will find new methods that could help you to grow sales and revenue in these article set. So, check them all to understand the tips for building the most profitable online retailer.